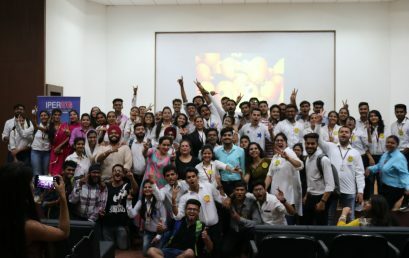 Excitement of meeting new classmates with a gleaming desire to excel in life and career, the 5th Batch of IPER UG steps in. 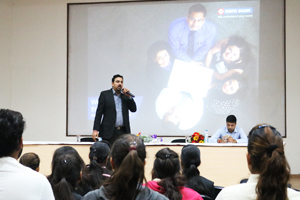 The fun-filled and enjoyable induction session for the under grads. 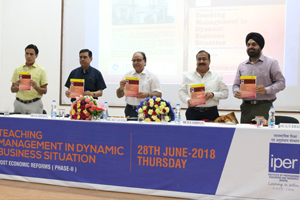 The second National Conference held in the gracious presence of honorable Chief Guests – Dr. DC Gupta, Vice Chancellor- Barkatullah University & Dr. GS Chauhan, Deputy Secretary- UGC CRO. 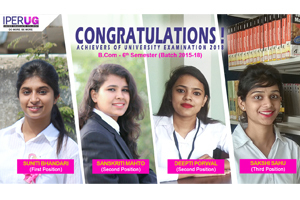 Ms Suniti Bhandari stood first, Sanskriti Mahto and Deepti Porwal jointly held the second position while Sakshi Sahu is on the third rank in the term-end examinations conducted by Barkatullah University. 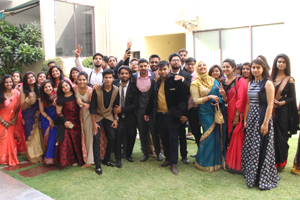 Bidding farewell to students who have completed this part of their journey with great achievements and beautiful memories. Congratulations for this impressive milestone in your life !!! !